CONVERGING technologies developed for myriad applications are rapidly falling into agriculture’s lap to create an incredible near-future digital landscape. Narrowband technology now being rolled out in the Central West will soon make it possible to gather data from sensors at a cost much lower than currently cluttered and expensive mobile networks. And this week Brisbane-based Printed Energy announced its ability to screen print prototype thin flexible batteries. The next step will be development of the technology to a commercial scale and print them by the kilometre. Printed Energy also has promising printed photovoltaic technology in its portfolio. It is hoped these two cutting-edge developments will lead to independently powered sensors feeding information from all parts of a property and make remote monitoring of soil moisture and temperature, and ambient air temperatures and quality, a reality. Printed Energy managing director Rodger Whitby said agriculture was a key target market for his company that is developing the mass-produced, flexible batteries. He said teaming up with developers of parallel technologies was now a priority for his high-tech firm. He envisions disposable, solar-charged, battery powered sensors will soon be taking care of jobs now performed manually in the paddock or remotely with expensive gear reliant on the same expensive mobile network your neighbour might be using to watch the footy on, sucking up valuable bandwidth. Mr Whitby said his company is currently screen printing prototype batteries to keep costs down, but in two years hopes to be producing them “by the kilometre” and integrating them with sensors and flexible solar panels. “We refine them as we screen print them and develop an optimised product from there, it’s a pretty standard development path,” he said. “We want to make the integrated sensors cheap enough to be disposable,” he said, “so each element will have about the same lifespan, be it one, two or three years”. “We have reached a point where communications and energy technologies are converging to make low-cost monitoring options available,” he said. 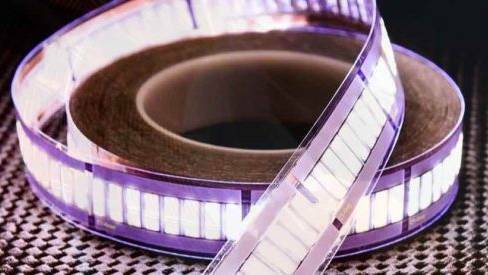 A sister company, Nth Degree, is producing printed LED lights, coming out much like a roll of tape or ribbon. That a technology company is prepared to even put a ballpark timeframe on any milestone in its development of a product speaks volumes about how close and confident it is to industrial production. “It’s too early to put a price-per-metre on the batteries, but we wouldn’t be doing it unless we knew we were going to be competitive with traditional batteries,” said Mr Whitby. “We’re about two years away from full roll-to-roll printing production of the batteries, but a combined product would come soon afterwards, that’s where we see the value. Printed Energy came into existence last year and bought the burgeoning technology from a US company. The purchase was complimented by hiring the technology’s architects, six people based in a laboratory in Phoenix, Arizona. Mr Whitby said there were also applications for the food and health sectors. Combining the printed, battery and light technology means the tiny units could also be used for killing bacteria on food and treating muscle injuries. “Think of putting heat lamp on an injury, it’s a similar concept using a set wavelength of light,” he said. There are also track-and-trace applications for food processing, “think of a steak in a supermarket, customers will be able to identify its temperature history”, making for in-aisle assurance of quality, he said. Asked when a farmer will be able to get a clear picture of what’s happening across his property from the device collating all the information from the revolutionary sensors, Mr Whitby said if he was waiting in the paddock, he should wear a hat, because it will take a little while yet.